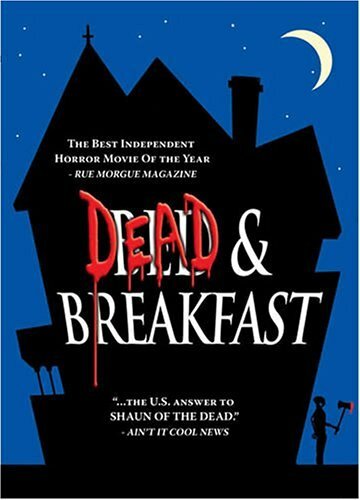 On the DVD cover of “Dead & Breakfast,” Harry Knowles of Ain’t It Cool News said that the movie is “the U.S. answer to ‘Shaun of the Dead.’” After reading that, I was a little concerned: “Shaun of the Dead” is an amazing film, and a rom-zom-com (romantic zombie comedy) is amazingly hard to pull off correctly, as evidenced by the piles of praise for “Shaun” and the piles of many other movies that have tried and met with varying degrees of success (see “Boy Eats Girl,” “Zombie Honeymoon,” and “Zombie Strippers,” to name just a few). Imagine my relief when I found myself laughing out loud several times while watching the movie. “D&B” is in fact a very entertaining film with a surprising amount of fairly-good-looking gore included. 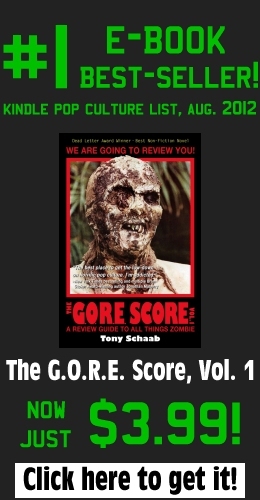 It does have some shortcomings, including trying too hard to make some scenes too funny and issues with editing jarring the viewer in and out of moments, but on the whole it is a pleasant surprise for a movie that no one really seems to know or talk about too much. For a self-proclaimed “independent film,” the cast is surprisingly recognizable and above-average, including David Carradine and his daughter Ever, Gina Phillips (of “Jeepers Creepers” fame), Jeffrey Dean Morgan (now best known as The Comedian from “Watchmen”), Portia de Rossi, Jeremy Sisto, and Deidrich Bader (most recognizable as the weird neighbor from “Office Space” and one of the main characters of “The Drew Carey Show”).